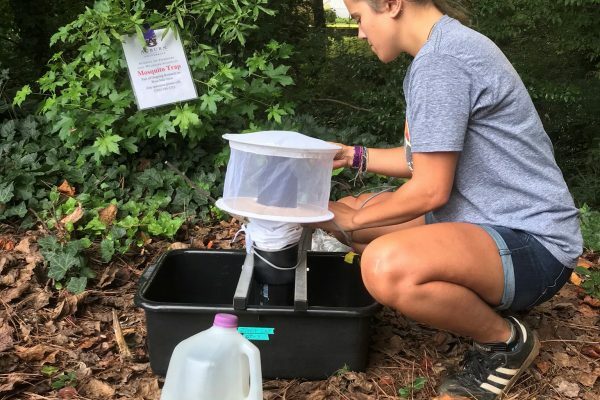 Auburn University researchers and Atlanta Audubon Society volunteers studied birds and mosquitoes at 30 sites this summer in and around Atlanta—finding that the presence of West Nile virus is influenced by an area’s type of trees, variety of birds and size of forest patches. “If you increase the forested areas, especially with pine trees, more non-carrier birds will inhabit the area, which will lower the probability of a mosquito biting an infected bird,” said Graeme Lockaby, associate dean for research in Auburn’s School of Forestry and Wildlife Sciences. Larger forested areas of 80 to 140 acres have less West Nile virus risk because more non-carrier birds are present. Corvids, birds that carry West Nile virus, are the most prevalent type of birds inhabiting small forest patches, thus those areas have higher West Nile virus risk. A small forest patch is considered approximately 5 to 20 acres. The number of adult mosquitoes declines as the percentage of pine trees increases in forests. The Culex species mosquito is the primary mosquito carrier of West Nile virus. When it bites an infected bird, the mosquito becomes infected and transmits the virus to its next bite victims, including humans. 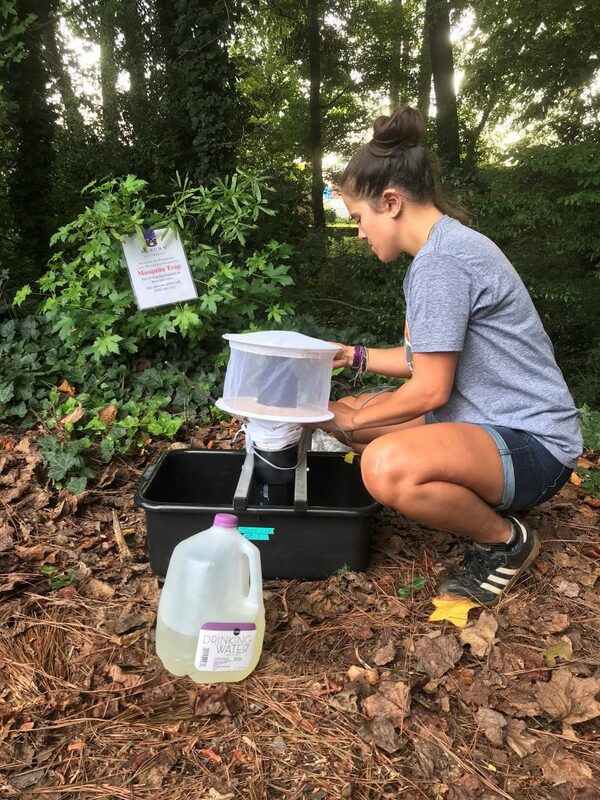 The research builds upon a 2016 Auburn study in Atlanta that showed West Nile virus is lower among forested areas with pine trees. Audubon volunteers documented the variety of bird species at the sites, not only visually but also by identifying birds by their sounds. They recorded the locations in database using GIS and GPS coordinates. “Atlanta Audubon is thrilled to be partnering with Dr. Lockaby and others from Auburn University. Atlanta is known as the City in a Forest so learning more about the role of our tree canopy on bird diversity, ecosystem health and human health are of the utmost importance,” said Adam Betuel, Atlanta Audubon Society. Lockaby headed the study with graduate student Nicole Castaneda in conjunction with the Atlanta Audubon Society and U.S. Forest Service. Castaneda studied the bird species diversity data gathered by the Audubon volunteers as well as soil wetness, the age and species of trees and socioeconomic factors at the mosquito sampling sites. “It is important we understand all factors that influence the presence of corvid birds that infect mosquitoes, and to know what areas are ideal breeding grounds for the Culex mosquitoes which transmit the disease to other species,” Castaneda said. 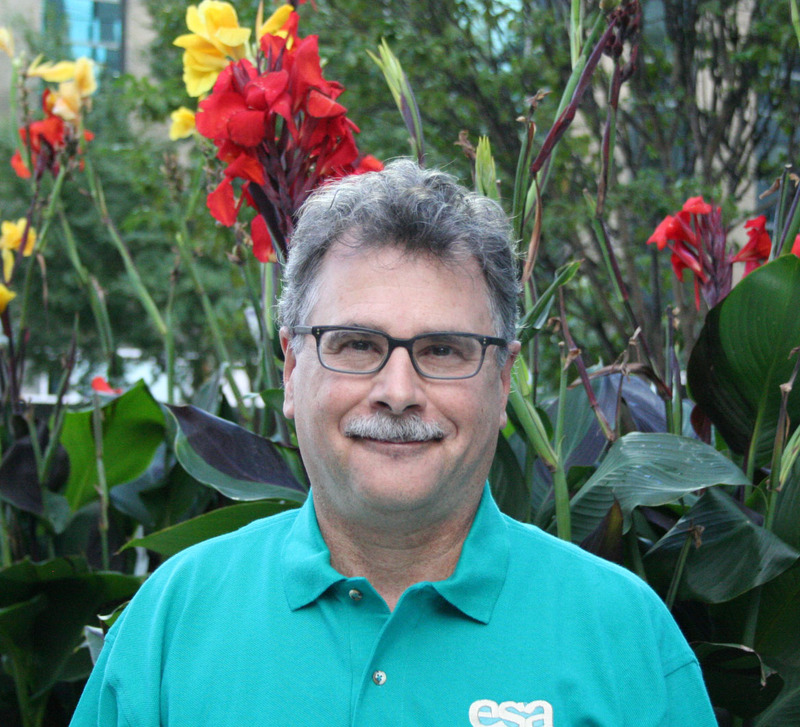 The CDC recommends that people should try to avoid being bitten by mosquitoes by wearing long sleeves and using insect repellent that contains DEET, picaridin, IR3535 and para-menthane-diol, or PMD. People should also remove containers with standing water where mosquitoes can breed.